Botswana is a prime business investment, travel and tourist destination. The country has a variety of tourist attractions which are the most sought after by nature enthusiasts. The largest inland delta in the world with a unique eco-system. The delta has a wide variety of wildlife and birds. Close to the Okavango Delta, the hills have the oldest and highest concentration of human rock art in the caves. The place is known for its spiritual feel and mystery that provide a huge thrill. 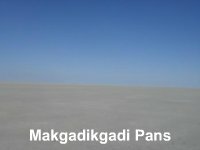 The pans are famous for quad bikes safari and adventure. The largest Game reserves and national parks that occupy about 17% of the country. Has the largest elephant concentration in the world. Abundant natural resources that spur the economy forward and support business.